Why should I become a CBA Member? 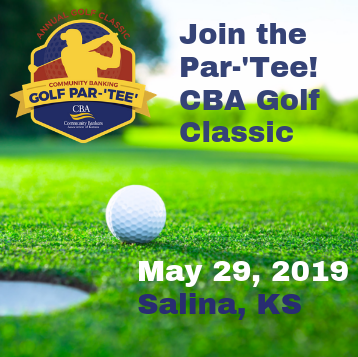 Community Bankers Association of Kansas is the only state trade association dedicated exclusively to serving the interests of Kansas community banks. The value you receive from a CBA membership is measured in more than just dollars and cents. A voice for community banking interests in Topeka and Washington D.C.
What are additional elements that set CBA apart? 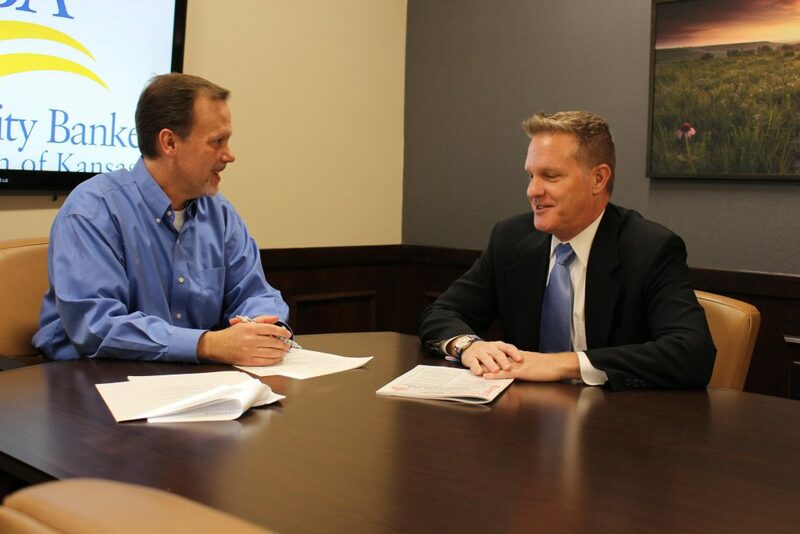 Leadership – The leadership at CBA of Kansas offers years of high-impact experience. Shawn Mitchell, a 23-year community banker and past bank president, brings years of community bank leadership experience to CBA of Kansas. CBA is community banker led (board) and community banker run. Members on CBA of Kansas committees and those who participate as Associate members also provide an extended leadership circle throughout the year. ICBA Relationship – CBA works closely with ICBA on legislative and advocacy issues on behalf of our member banks. Networking With Other Community Banks – Through events throughout the year and committee opportunities, CBA members can network productively with their peers. CBA of Kansas can oversee and guide networking of member banks that have similar specific challenges, resulting in stronger and more valuable member networking options. View our image gallery here. State and National Lobbying Abilities – CBA of Kansas maintains active participation and response to key issues affecting community banks statewide and at the DC level. This helps members “cut to the chase” and know they are heard on the issues that matter most to their success. 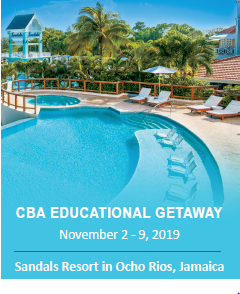 Education – CBA maintains a thriving educational initiative. 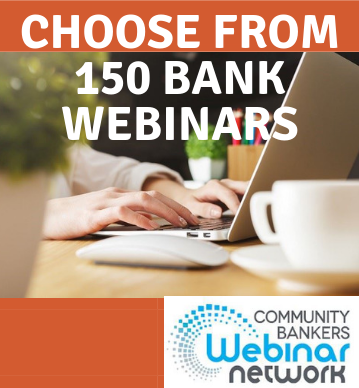 Our focus on dynamic and valuable webinars and online product offerings continues to offer flexibility and cost savings. We pursue and promote educational opportunities through conferences and conventions where appropriate, and strive to provide a full array of online education platforms. Member Relationships – Because CBA of Kansas knows its members well, the organization has the special opportunity of truly representing members’ voices and needs in ways larger organizations can’t. Members are not just another name on CBA’s list; members are friends and family. We promote this value from member to member. Learn more about becoming a CBA Member or CBA Associate Member. Collectively creating value for Kansas community banks through advocacy, education and services for the benefit of their customers and the communities they serve. Founded in 1978, CBA represents Kansas community banks located in small rural and urban areas across Kansas. Where Will You Be April 8th Thru 11th? CBA ©2018. All Rights Reserved.